Yesterday was a big day. 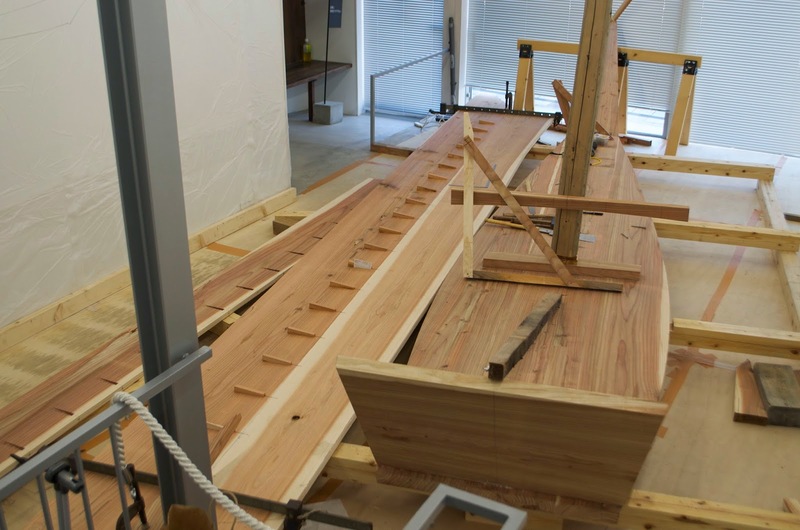 We had one strake nailed together and just needed to cut our plugs flush and plane the plank, and we nailed the other strake together. 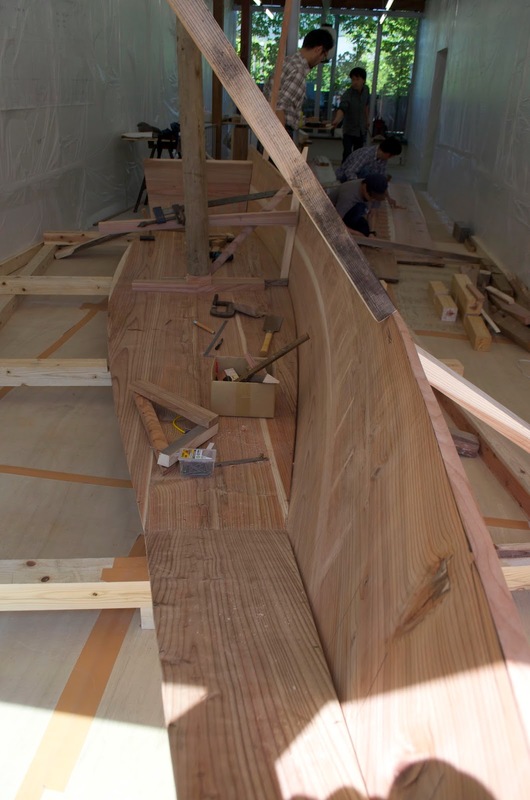 We bent the first strake on the boat and traced the shape, then removed it and laid it on the other strake and cut the two to shape (leaving a bit extra). I could see we had enough time to bend them both on the boat and leave them propped in place for the next two days (our days off). One strake on the floor, plugs waiting to be trimmed. 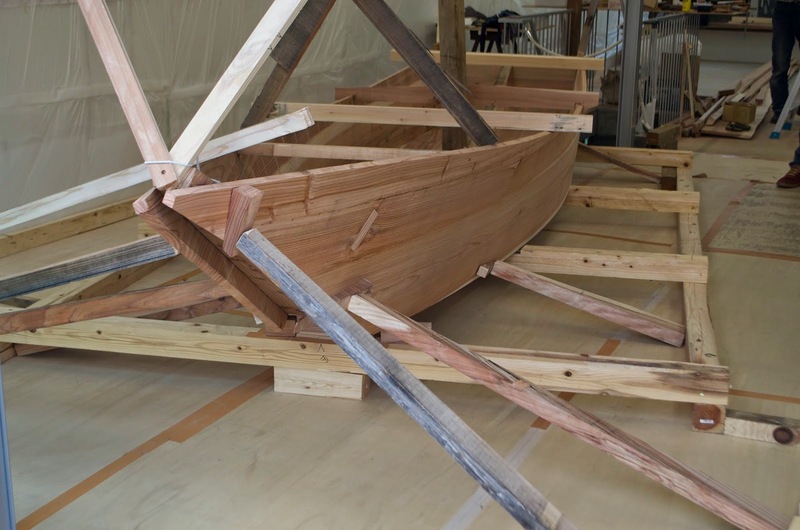 The next strake ready for nailing. We got these small nails from our source in Kochi City, Mr. Tengu Shibafuji. We probably could have used a larger nail but there just isn't that much variety available. 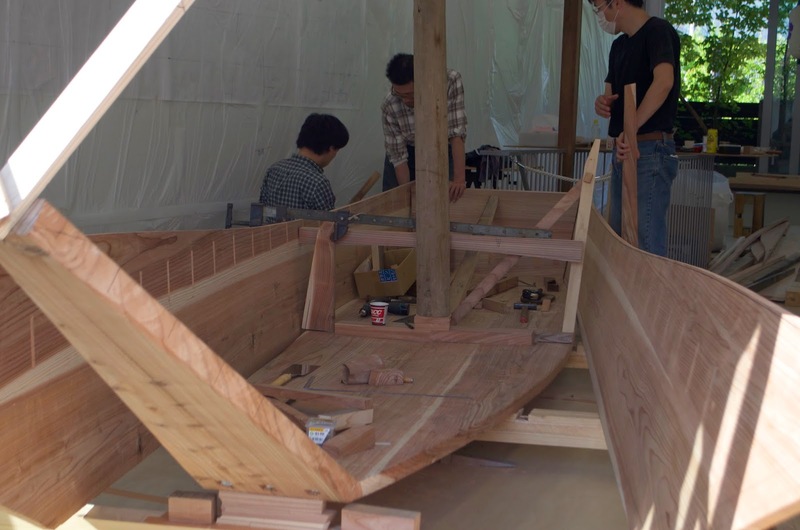 Shibafuji san has been collecting nail stock from boatshops that have closed. 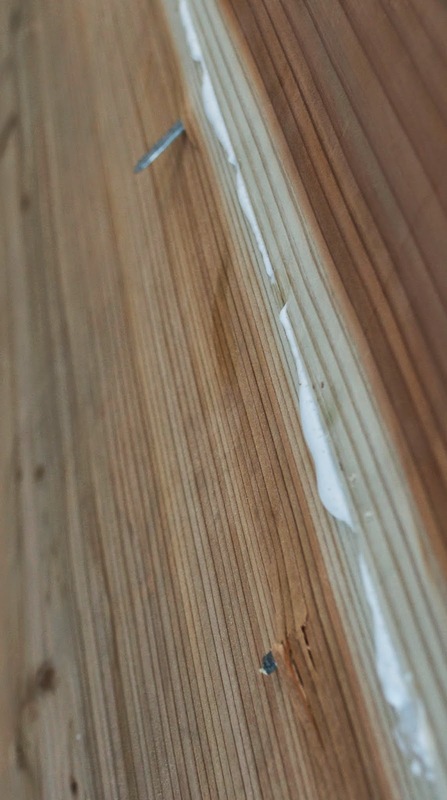 Two of our nails went awry and came out the back of the planking. That happens. 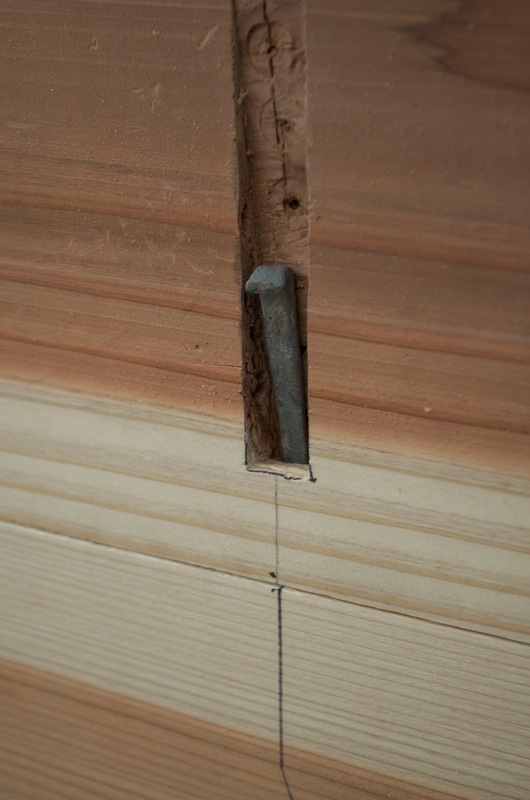 Our plank nails are on the right, and came in two types: older, heavier nails and really thin newer ones. I managed to get an old nail to drive right in one of our bad holes but the new nails bend too easily. 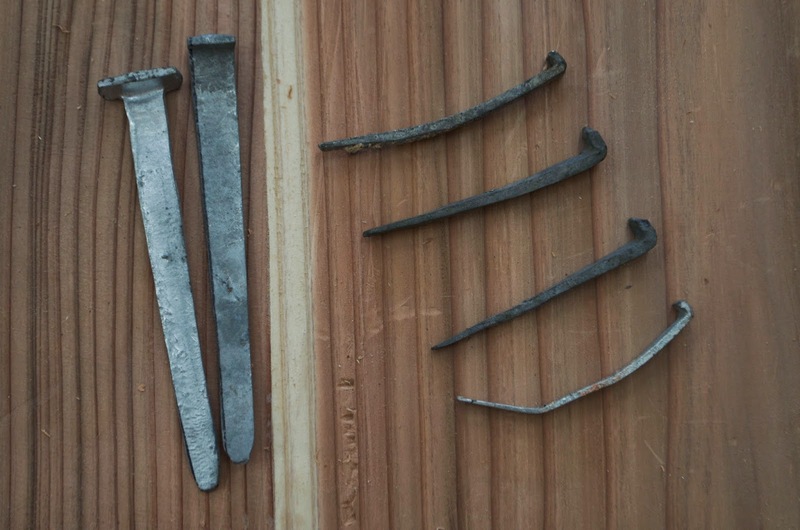 On the left are the nails we used to fasten our bottom plank together and what we will use to nail the sides to the bottom. This is actually not that many props. 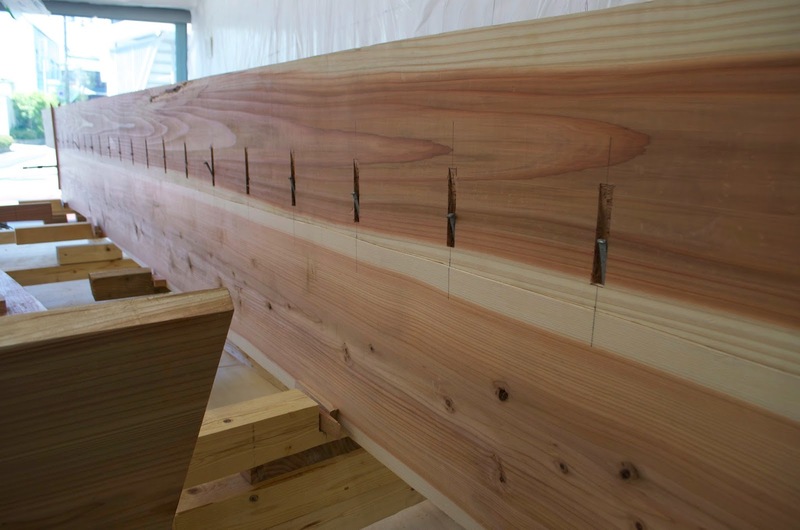 Look at my Summer 2013 blog for shots of bending the planking on that project. 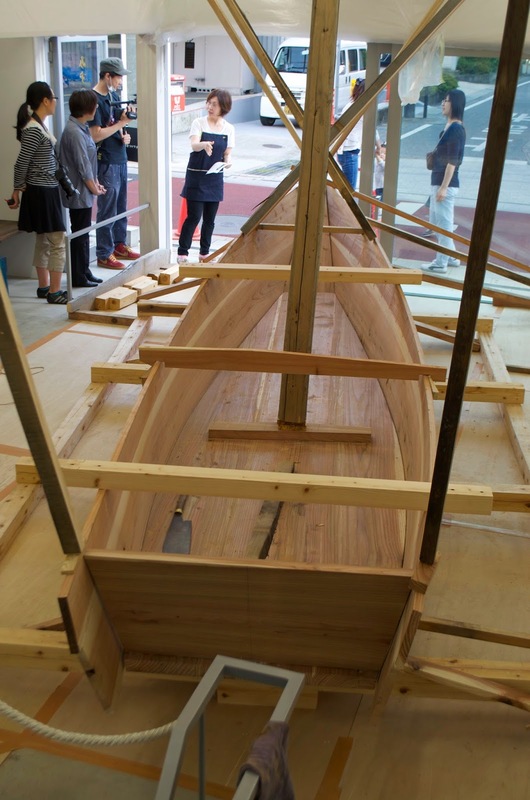 This is a very straightforward boat and we could bend the planks cold and everything came together pretty easily. Two beams will be installed at the sheer and that's about it.